Find your Immigrant Ancestors this Year! A friend of mine reminded me about the FREE Ellis Island website, so I have now added the link to my Research Tools. 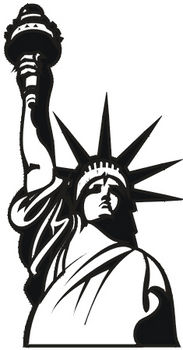 The Statue of Liberty — Ellis Island Foundation offers a free search of the Passenger Lists for persons passing through Ellis Island and the Port of New York for the years 1892 to 1924 , along with other resources and tips pertaining to genealogical research and the immigrant experience. Visit http://www.ellisisland.org/ and explore the possibilities! Thanks, Drew!